THE B-MOVIE NEWS VAULT: Scream Factory Will Give You Ailurophobia with EYE OF THE CAT! Coming to Blu-ray on January 16th! Scream Factory Will Give You Ailurophobia with EYE OF THE CAT! Coming to Blu-ray on January 16th! SCREAM FACTORY RESCUES "EYE OF THE CAT" FROM OBSCURITY WITH THIS FANTASTIC NEW BLU-RAY RELEASE! "It's the EYE OF THE CA-AT, the thrill of the fright! Felines clawing at your face, and pu-king hair-balls!" 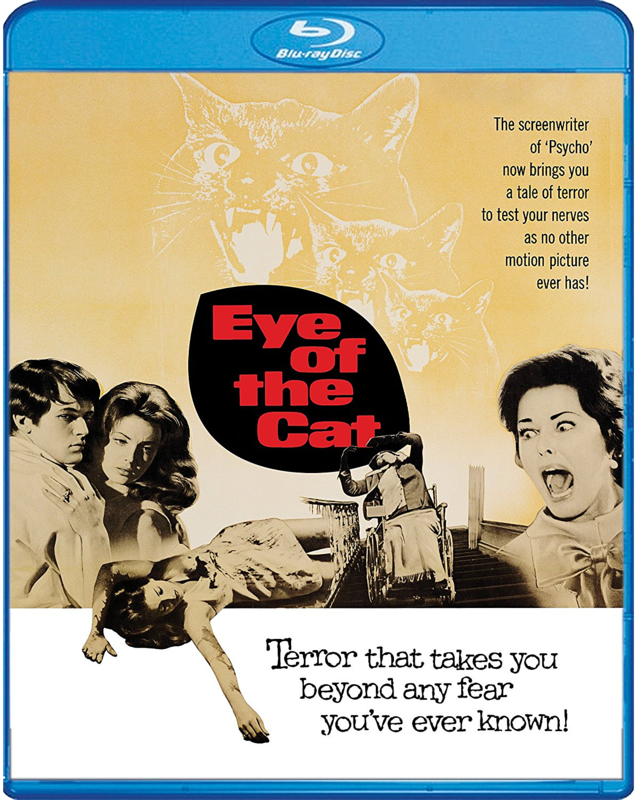 Up until Scream Factory announced this release, I had never even heard of EYE OF THE CAT! Written by Joseph Stefano (PSYCHO, THE KINDRED), this tale of conniving relatives and furious felines has definitely piqued my interest! I look forward to eventually adding this title to my collection! Synopsis: From the screenwriter of PSYCHO comes another terrifying tale of horror! Wylie (Michael Sarrazin, THE REINCARNATION OF PETER PROUD) and Kassia (Gayle Hunnicutt, THE LEGEND OF HELL HOUSE) are looking for a way to get their hands on the hefty inheritance of Wylie's cat-loving, wealthy Aunt Danny (Eleanor Parker, THE SOUND OF MUSIC). But there is one little problem: Wylie suffers from a severe case of ailurophobia – the fear of cats! In order for their plot to succeed, the pair must first eliminate Aunt Danny's legions of feline companions ... which ends up being much more difficult than expected. Killer cats? You gotta be kitten me! NEW! HD Transfer Taken From Original Film Elements! Television Version Of The Film (Standard Definition)! Scream Factory has done Horror fans a great service by resurrecting this forgotten Horror title, and given it some major TLC. EYE OF THE CAT will be available wherever Blu-ray discs are sold on Tuesday, January 16th, and will cost between $20 and $25. 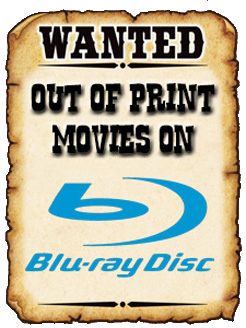 Order your copy now from AMAZON, BULLMOOSE, DIABOLIK DVD, or directly from SHOUT! FACTORY to get it two weeks early!